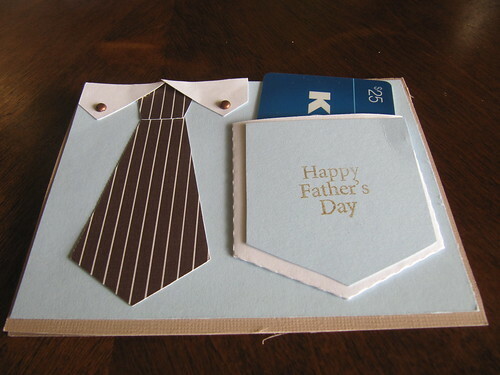 I created another Father's Day card with a cut file. This one is a gift card holder. I love how the gift card fits in the pocket! Super cute. 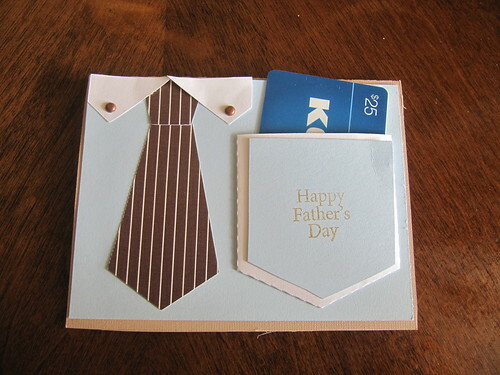 I finished off the card front with some brads and stamped the sentiment on the pocket.